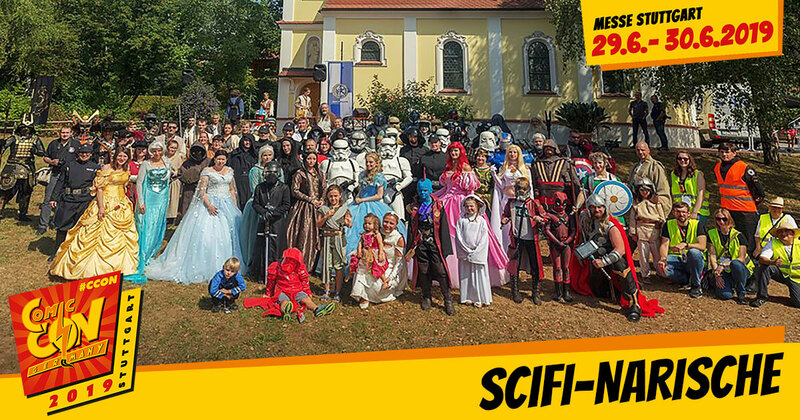 The SciFi-Narischen are a science fiction and fantasy club with more than 160 members from Bavaria and the whole German-speaking area. The club was founded in 2007 by Klaus and Steven Windstoßer. Initially a pure Star Wars costume club, the small pile soon turned into a large colorful “family”. They now host authentic costumes from all imaginable science fiction and fantasy films. They feature princesses, sorcerers, pirates, superheroes and many other famous characters. They organise professional events for charitable purposes for the Bavarian Bone Marrow Donation Campaign and have thus secured the title of “Official Sponsor of AKB” since 2017. They are already represented at numerous conventions and are now invited to CCON | COMIC CON GERMANY for the first time. Visit them at their booth and let them take pictures with your film heroes!